The Musical College wanted to create timeless architecture full of stimulating messages rather than a superficial trendy design, therefore the architect looked back to the basic principles of architecture, form, space and material or colour. 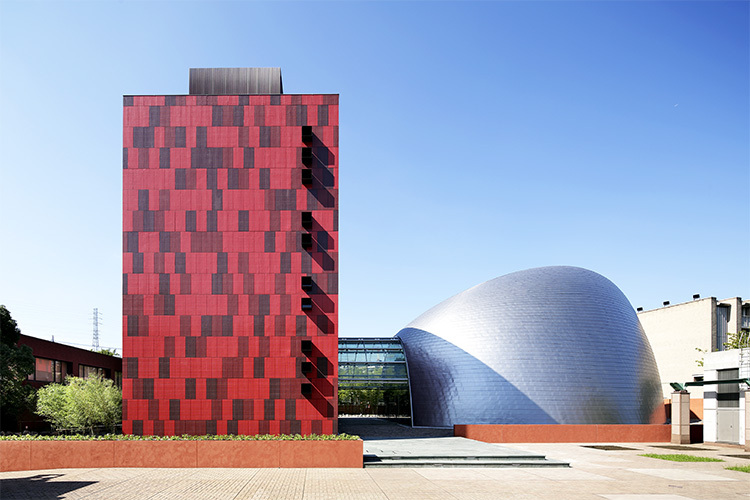 The 3-dimensional free-form of Silver Mountain cladded with stainless steel panels changes its appearance depending on different weather and light conditions and shows dramatic contrast against the solid cubic Red Cliff, furnished with a random patchwork of 3 different red color-tiles. A valley between both wings is covered by a bright glass roof called the Cloud, which works as a welcoming gesture to students and guests. Large multiple LCD screens mounted on the walls of the entrance under the Cloud show dynamic video images of college concerts. A remarkable feature of the rehearsal studio is the wide acoustic adaptability. 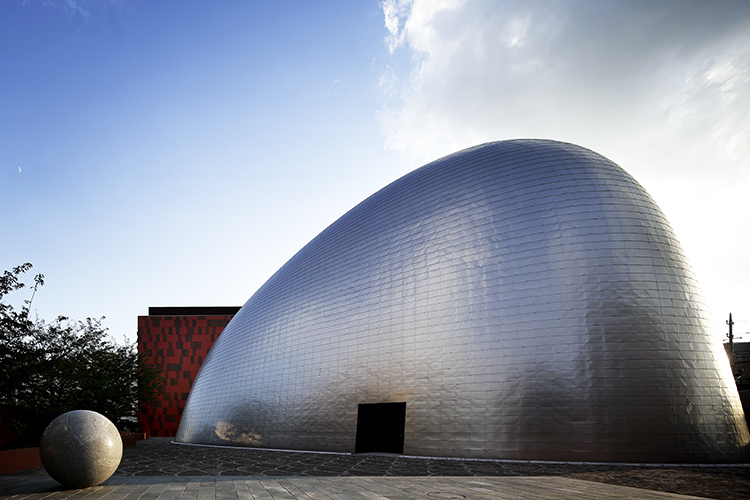 The studio can adapt its acoustics for a rehearsal of a full orchestra to that for a piano solo concert. This depends on the close and open operation of acoustic curtains, and visual impact of waved acoustic concrete wall for radiating the sound. The inside of Silver Mountain is exactly a rear reflection of the 3D form, having a very fantastic cave-like curved ceiling or wall, finished with natural troweled plaster to give a very soft appearance with lighting. A custom-made long curved bench was also installed along these curved walls. Technological difficulties are overcome with a man and machine system that combines computational design of the 3D form and a panelling study with actual site labour work. This 3D form was started by cutting out tiny Styrofoam pieces by hand and then modelled by Form–Z on a Mac and then finally precisely analysed by the Rhinoceros application as a coherent digital algorithm. This data was transformed into a Truss Wall System combined with steel rod truss and molding mesh form. The data was printed out on a full-size pattern sheet to help manual work. The actual Truss wall concrete surface was checked by 3D laser measurement on the site and mortared by labour work to maintain precise contour lines. The other technological difficulties are the simulation study of a cladding panel layout to achieve maximum use of the regular size panel by allowing within 5mm tolerance at their rap joints performed by Rhinoceros. These 90% panels of 8500 pieces are rectangular or trapezoid, but 10% of irregular shapes had to be printed out on pattern sheets, then cut out and folded one by one by hand. Finally these panels were fixed by hand with a help of marker to indicate the location of each panel which showed on the shell by 3D measurement. 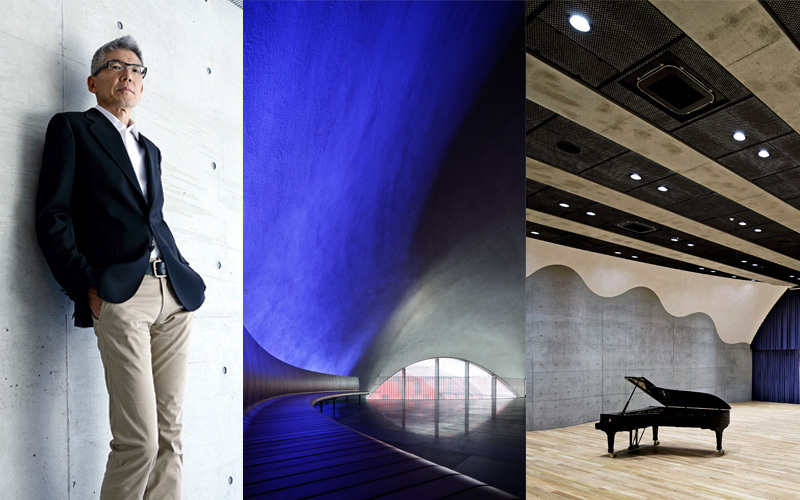 Established by Kunihide Oshinomi, K/O Design Studio has created a reputation of excellence through its many architectural, interior and product designs. Some of these have become known not only in Japan but also worldwide through the media, and through the recognition of the project’s quality. The activities of the studio cover housing to high-rise complex buildings, conceptual design to be completed buildings in Japan and Asia, and many kinds of interior fit-out projects which are retail, residential and hotel. The studio is challenging to design human surroundings to create highly sophisticated environmental harmony. Kunihide Oshinomi completed his Bachelor’s degree in Engineering from Yokohama National University, Japan. As a graduate he gained professional experience working for Kajima Design before establishing K/O DESIGN STUDIO in 2001. 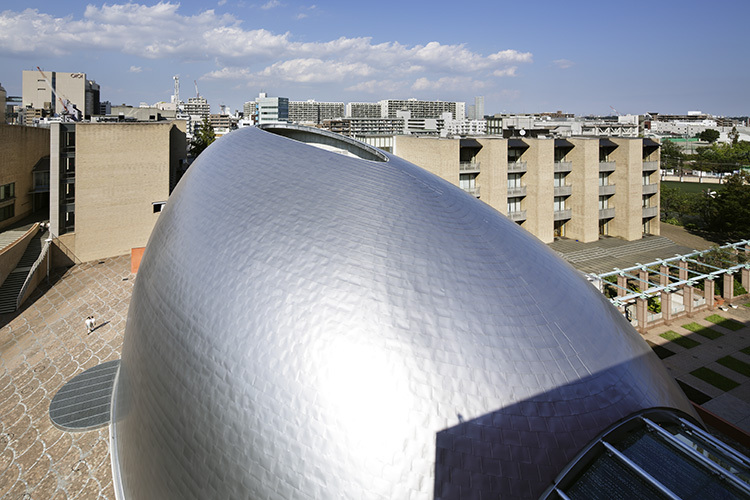 He has also taught at Tokyo Institute of Technology University and Yokohama National University.